FGUP "GosNIIAS" is an accredited certification agency within the Military Register voluntary certification system. 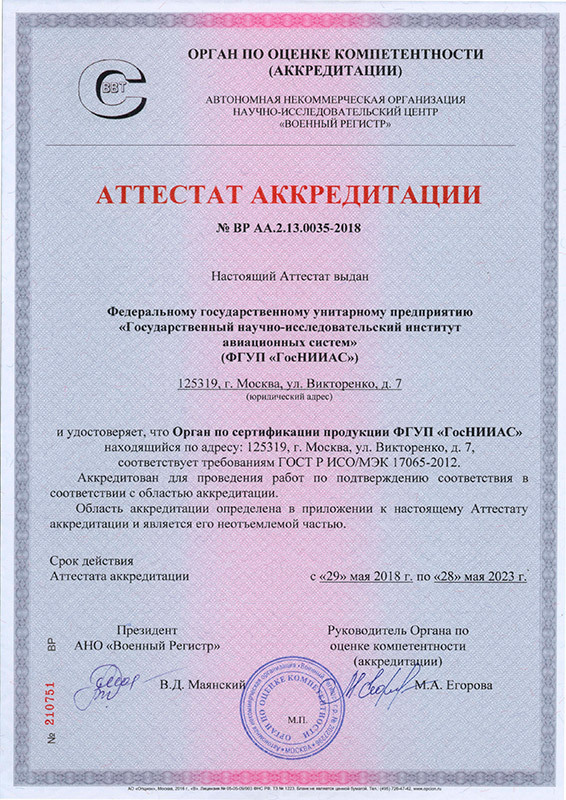 Registration certificate #ВР СР.2.13.0411-2018 of 29.05.2018. Category 7025. General-purpose data processing systems. Input/output devices. Category 7030. General-purpose data processing systems. Software. Category 7031. Special-purpose data processing systems. Software. products developed under conversion programs by enterprises executing state defense orders. GOST R 52070-2003. Electronic modular system serial trunk interface. General requirements, etc. During these standards elaboration different international standards and directives in the field of complex systems software and hardware development were taken into consideration. will give you an opportunity to promote your products to new markets. Russia, 125319, Moscow, Viktorenko str., 7, GosNIIAS. 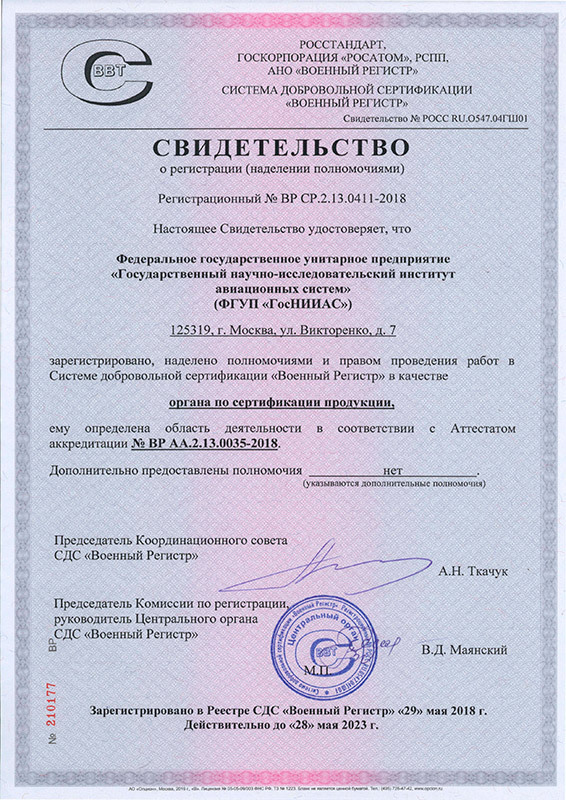 Ph./fax: +7 (499) 157-95-45; e-mail: csaps@gosniias.ru.